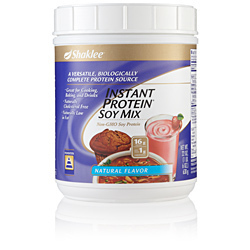 For cooking and baking: you can add to soups, casseroles, pancakes, salad dressings and more. 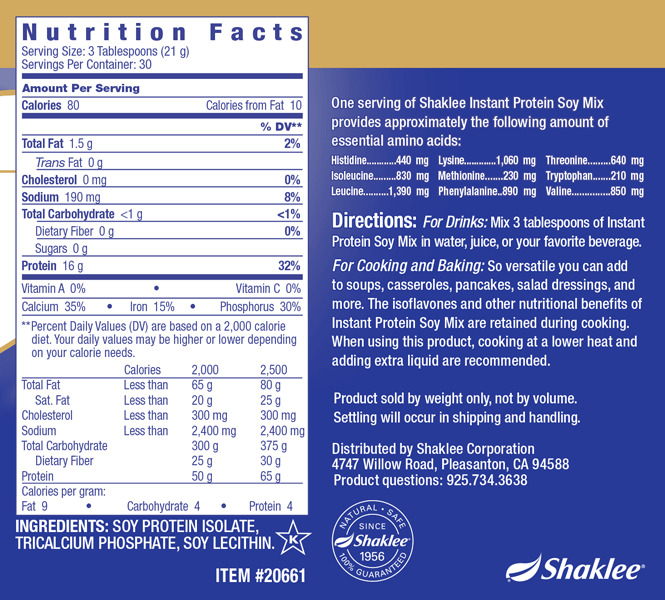 The isoflavones and other nutritional benefits of Instant Protein Soy Mix are retained during cooking. See the booklet under the package lid for great-tasting recipes. When using this product, cooking at a lower heat and adding extra liquid are recommended. Should not be used by infants under one year of age without consulting a physician.